Ingatestone TownIngatestone - Ingatestone was established in Saxon times on the Essex Great Road that runs between the two Roman towns of London and Colchester. 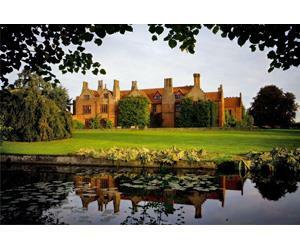 The main feature is Ingatestone Hall which was built in the 16th century by Sir William Petre. Queen Elizabeth I spent several nights at the Hall on her Royal Progress of 1561, and the Petre family reside there to this day. The Hall largely retains its Tudor appearance following restoration carried out between 1915 and 1937, and is set in formal gardens surrounded by eleven acres of grounds. Ingatestone - Ingatestone was established in Saxon times on the Essex Great Road that runs between the two Roman towns of London and Colchester. The main feature is Ingatestone Hall which was built in the 16th century by Sir William Petre. Queen Elizabeth I spent several nights at the Hall on her Royal Progress of 1561, and the Petre family reside there to this day. The Hall largely retains its Tudor appearance following restoration carried out between 1915 and 1937, and is set in formal gardens surrounded by eleven acres of grounds.